If you’re looking to improve your credit rating as quick as possible, you might have done some research online and found that most people are telling you to get a credit card. Whether it is a secured card or any old credit card, it seems to be the most popular advice to give to those in need of credit score improvement. It’s true that taking on a credit card is the most common and a fairly easy way to gradually build up your credit score, but it is not the only way to do so, or the best. 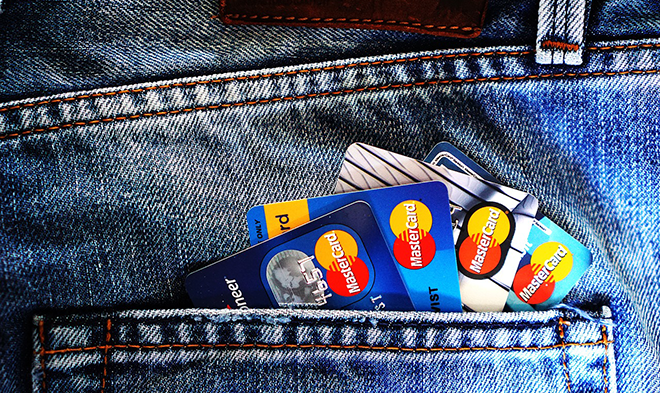 You can easily build credit without a credit card and if you’re worried about racking up more debt with plastic in your hand, you might wish to choose another way. There are two main types of credit. Revolving and installment. Revolving credit is the sort of credit that you pay down every month, freeing up the funds to be borrowed once more. Installment credit is when you pay back a specific amount borrowed in regular, set installments, until it is all paid off. Credit cards are a form of revolving credit, as are lines of credit. They pose extra risk to those trying to get out from under their heavy debt load. The risk lies in the borrower having access to the repaid funds to borrow again, creating a cycle that can only be stopped by rigid self-discipline. Using a credit card to rebuild a poor credit score works well, if you’re not tempted to spend the funds once you’ve paid them off. You can avoid this risk by using installment types of credit. Such as loans, mortgages, car loans, secured loans, or secured savings loans. With these sorts of loans, you borrow one chunk of money and as you pay it down, the amount you owe is guaranteed to drop because you cannot borrow the funds again. You borrow it once and then you pay it back. If you’re looking for something that is even more low risk, your best bet is to opt for the sorts of loans that are secured. That is, you put your money down first to act as collateral against your loan. You make your monthly installment payments on your loan amount until it’s all paid off and then you’re done. Your lender will report your on-time payments to the credit bureaus and just like that, your credit is up and you still have the collateral you used to secure the loan in the first place. Another option is Refresh Financial’s Credit Building Program. This unique program was designed for people unable to access traditional credit products, who are serious about improving their credit score. There is no credit check, because there is no cash upfront. The program is arranged into affordable payments over a set term, and each of these payments contains a small interest component. With this interest, Refresh is able to report the program as an ‘installment loan’ to the credit bureaus. The payments made (minus fees and interest) go toward building up a nest egg of savings, which are then released at the end. This one of a kind program allows clients to build credit and savings, without the risk of getting further into debt. A healthy, safer alternative to secured credit cards, and much more cost effective than an auto loan. Find out more here. While many people use credit cards to raise their credit score, and this is the most commonly given advice to those seeking to better their credit, they are not the only or even the best way. Installment loans are generally the most effective way to build credit in Canada. Did you know you could up your score without credit cards? Let us know in the comments!